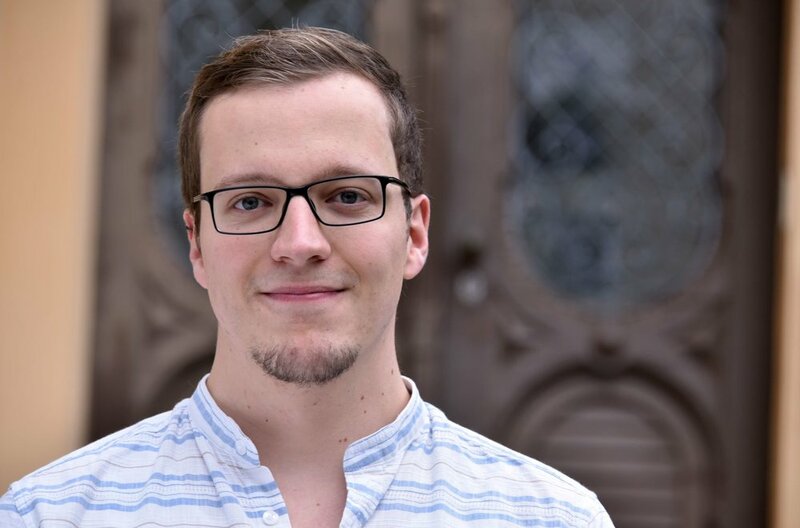 We recently talked to Sebastian Pusch about his paper, "Personality development in emerging and young adulthood: A study of age differences", which is scheduled for publication in an upcoming issue of the European Journal of Personality. Sebastian is a PhD student at the Friedrich Schiller University Jena. Read more about the article below! Q: Hello Sebastian! Can you tell us a little about your study? Early adulthood, which refers to the ages between 18 and 30, is a time of profound individual development. During this time, people pass numerous transitions and are confronted with many new challenges and opportunities. It has been shown that the experiences and decisions they make during this time have a considerable influence on their individual personality development. However, the changes in early adults' core personality traits – Extraversion, Neuroticism, Agreeableness, Conscientiousness, and Openness – do not necessarily follow a strict linear course. For example, people, on average, tend to become substantially more neurotic between the ages 19 to 24, but less neurotic in the long run (i.e. over the whole range of early adulthood). In fact, it has been argued that the years between the late teens to early twenties differ so much to the mid- to late-twenties that they form a distinct developmental stage, named emerging adulthood – emerging adults are considered to be more instable and diverse, less committed to traditional adult roles, and to have greater opportunities to explore new environments. In our study, we were interested in whether these postulated psychological differences are related to age differences in personality development. We asked ourselves: Do individuals at the beginning of early adulthood (i.e. emerging adults) differ from those at the end of early adulthood (which we referred to as young adults) with respect to personality development? To this end, we tracked 16- to 19-year-old emerging adults and 26- to 29-year-old young adults over the course of four years and compared them with regard to four different aspects of personality change: Mean-level change (e.g. do people on average become more or less extraverted over time? ), inter-individual differences in change (e.g. to which extent do individuals deviate from the average change in extraversion? ), rank-order change (e.g. do those more extraverted than others stay more extraverted than others? ), and profile change (e.g. does an individual who is more extraverted than neurotic stay this way?). In addition, we were interested in whether first-time life events (the first romantic relationship, the first moving in with a romantic partner, the first separation from a partner, the first job, leaving the parental home, and the first child) affected emerging and young adults' personality change to a different extent. We found differences between the two age groups regarding each of the four aspects of personality change. First, emerging and young adults' mean-level personality changes differed with regard to three out of the five traits. For example, emerging adults became, on average, more neurotic and conscientious over four years, whereas young adults showed neither an increase nor decrease in Neuroticism and became less conscientious. Second, in both age groups, there was also a substantial number of participants who deviated from the average personality trait changes. Consistent with the idea that they are more diverse, this number was higher for emerging than young adults regarding changes in Extraversion, Neuroticism, and Conscientiousness. Moreover, emerging adults demonstrated larger rank-order changes in three out of five traits, as well as larger profile changes than young adults. Thus, emerging adults were less stable than young adults: they changed more strongly relative to each other and showed stronger shifts in their intra-individual constellations of personality traits. Finally, we found some associations between first-time life events and personality change (for example, beginning the first relationship, moving in together with the partner, and getting the first child were associated with decreases in Openness). However, we found no differences in these effects between the two age groups. In my opinion, the most important implication of our findings is that a finer-grained age differentiation is needed to better understand personality development in early adulthood. Our findings support the empirical usefulness of the concept of emerging adulthood in this endeavor. There is plenty of excellent literature on both emerging adulthood and personality development. Our study points to a great integrative potential between them, which should not only enrich both fields but also help to better understand how people become who they are. More generally, our study emphasizes the importance of investigating age differences not only across, but also within specific age periods to gain new and more specific insights into personality development over the life span. Future research and theory might extend this idea to older and younger age periods too. There seems to be much going on in early adulthood. But I contend (and personally hope) that life in the thirties and beyond comes along with its very own challenges and opportunities. Q: What made you decide to study personality in emerging and young adulthood? I started researching personality development in my master thesis. I had the great opportunity to use data from the German Family Panel, which is an ongoing study that the Department of Personality Psychology at the University of Jena is involved in. When I started my PhD, it was clear that we wanted to follow up on the topic with a focus on age-differential personality development. Around this time, I read some works on the relevance of the emerging adulthood years for personality development which sparked my interest. In addition, I was 25 years old at the time, thus falling into the age group considered as emerging adulthood myself. So the second thing that made me interested in studying personality in early adulthood was its personal relevance for me. I am currently working on my doctoral thesis about the way romantic partners perceive each other’s motivation, and how these perceptions can affect their own motivational processes and relationship outcomes. I will primarily focus on doing research in this area. In the near future, I plan to address the perception of implicit motives in couples. Because they are supposed to operate mostly outside of conscious awareness, most people are typically not very good in rating the strength of their own implicit motives. What I want to look at is whether partners can judge each other's implicit motives correctly. Nonetheless, I also hope to one day continue to study personality in early adulthood. The data we used is from an ongoing longitudinal study, allowing to investigate many interesting things in the future. For example, most participants from the emerging adulthood group will soon reach their mid- to late twenties, meaning that they become (what we referred to as) young adults themselves. It would be interesting to examine how their personalities develop further and also how this relates to different life outcomes (concerning, for example, their well-being, their health, or their social relationships). I am still a young researcher myself, so I think I can at best share my own experiences about what has helped me so far, rather than give advice. I think the most important thing is something you don't have that much control over, namely having supportive colleagues and supervisors. I am fortunate to be in a department with a good working atmosphere, where you can exchange ideas and get valuable and appreciative feedback. This helped a lot in writing this paper. What also helped me was talking to other PhD students. Especially at the beginning, there are so many new things to do and learn, which can be very challenging at times. Exchanging experiences with other PhD students, and learning about the experiences of more advanced researchers was (and still is) really helpful for me. Q: Thank you so much for the chat, Sebastian!